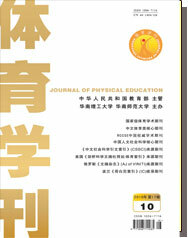 Abstract:By the methods of documental material, investigation, data statistic and comparing analysis, the physical educational present of middle school in areas of minorities was investigated in this paper.The results show that the physical educational level in these areas was relatively low.The reason might be the unbalance development of Chinese physical education. According to the results, the authors suggest that the teacher's quality should be strengthened, the arrangement of courses should be changed, the teaching outline and textbook be adjusted, the teaching process be reformed, etc. in order to develop the physical education of middle school in the northwest area of minorities and supply the accordance to reference.